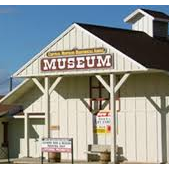 The museum contains history from Lewistown’s early history as a trading post during the homestead era. You will see pioneer relics, blacksmith and cowboy tools, guns, Native American artifacts and artwork. Open year round.